CATH Befrienders service was initially established in 2011 as a 1:1 befriending service for women which then changed in 2013 to a male and female service for individuals over the age of 16 who may be at risk of being homeless, have experienced homelessness or currently accessing support in maintaining their own tenancy and maybe experiencing social isolation. In the latter part of 2016 our service developed and changed to Group befriending where we currently receive referrals not only from our other CATH projects but also from external sources. Our service is run by staff and volunteers who have successfully completed our induction training programme, which prepares volunteers for the role, with a PVG and 2 reference checks also required to be completed. 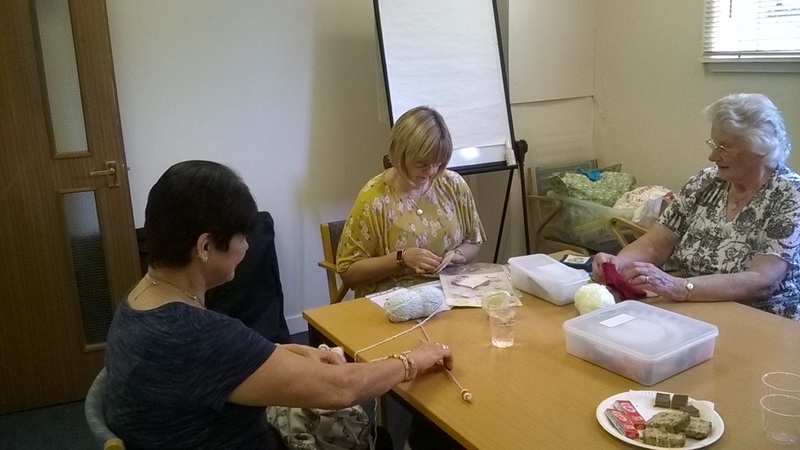 A Women’s Befriending group which offers a variety of activities such as our Knit & Natter sessions, Arts & Crafts, Gardening project, Social outings etc. Social Befriending group (male/female) offering a variety of activities such as playing board games, pool, arts & crafts, knitting, reminiscing and lunch is also included in this group. The Day Centre aims to provide a warm and welcoming atmosphere for individuals who may be experiencing varying degrees of crisis in their lives. Our staff are experienced and skilled at working sensitively with the people who access the Day Centre.